You know when you’re in a perfectly happy relationship, but you’re always looking for something newer, better, fresher? I’m talking about my relationship with my foundation, obviously—I’m not a monster. Currently, I have my three favorites—Giorgio Armani Luminous Silk, Make Up For Ever Ultra HD Invisible Cover, Charlotte Tilbury Wonderglow Foundation—but any time a new formula comes across my desk, I find myself wondering if it has the power to earn a place in my hallowed rotation. That’s how I found myself buffing Hourglass’ new Vanish Liquid Foundation—the brand-new liquid version of its best-selling Vanish Stick Foundation ($56)—onto my face this week. It promised me a “second skin finish” and “smooth and flawless complexion.” Did it live up to the hype? Keep scrolling for my honest review. Here’s a photo of me without any foundation on. (Can you tell I just got a spray tan?) As you can probably infer from the photo above, I rely on foundation to blur out the larger pores around my nose and leave my skin looking more even. I have a few dark spots on my cheeks that I embrace during the summer, but prefer to camouflage and smooth over during the colder months in an attempt to give off an ice queen aesthetic. As someone with oily-combo skin, I used to prefer more matte, full-coverage foundations, but lately have been embracing the glow and gravitating towards dewier formulas; “sheer coverage” is a phrase I openly embrace in both my hosiery selection and foundation formulation. The liquid version of Hourglass’ Vanish Stick Foundation touts itself as a full-coverage formula, so I was prepared for a smoothing, matte effect. Even still, I was surprised by how powdery the finish actually is. I blended it into my skin with a buffing brush (I used a Yubi Brush) and peered at my skin in the mirror. First thought: it smells vaguely like strawberry cough syrup, though in a not-entirely-unpleasant way. Second thought: it's not very hydrating. I’ve been experiencing light flakes around my cheeks and lips for the first time ever in my life (thanks, NYC winter! ), and this formula didn’t do much in disguising them, even though I wiped my face with an M-16 Hyaluronic Acid Pad before applying. If you’re dry, I would recommend making sure you’ve gently exfoliated and used a face oil or moisturizer before applying this foundation. This foundation guarantees that any trace of oiliness or shine will be wiped clean from your face. My skin was the most matte I had seen it in a long time. To be honest, I wasn't entirely into it—like I said, I've been gravitating more towards dewier formulas, especially in the winter months, and the hyper-matte finish just seemed to accentuate the fact that I'm drier than I've ever been. I was going to toss this foundation aside as a fail, but then I snapped my "after" selfie and did a double-take. So, all in all, I didn’t love the super-matte finish, but I did love how it made my skin look in photos. In real life, I prefer something a little more glow-giving. I was able to add a bit of dewiness by dabbing some moisturizer over the formula, then spritzing myself with a face mist. In short: Hourglass Liquid Vanish foundation does not mess around. If you need something to cover late nights, redness, and too many tequila sodas, this won’t fail you. If you love Fenty's Pro Filt'r Sof t Matte Foundation or Charlotte Tilbury's Magic Foundation, you'll love this new full-coverage pick. Personally, I prefer something less matte for a daily foundation, but talk to me again next time I’m getting photographed and I might have a different answer. 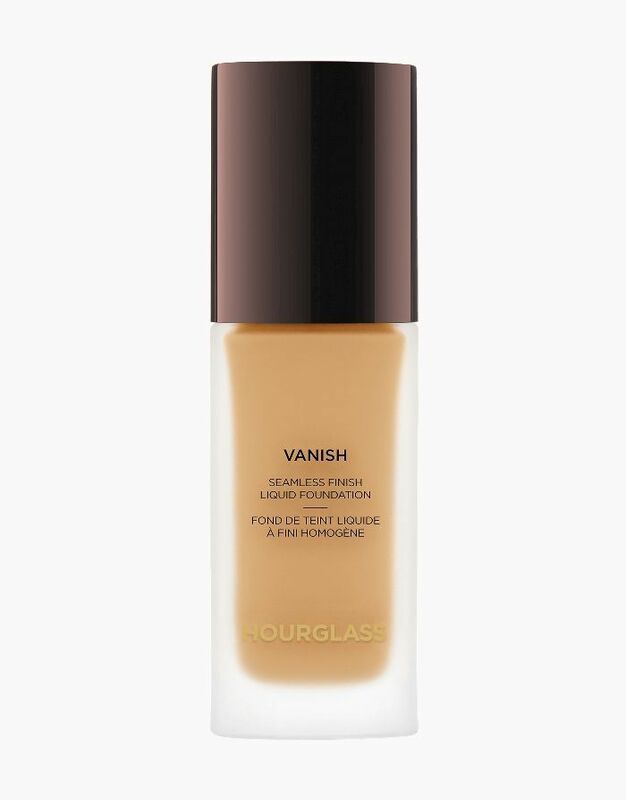 You can buy Hourglass Liquid Vanish Foundation ($56) here.